I have been fortunate to meet some wonderful bloggers from The Bay Area over the past couple of years, including the lovely Erin of the blog Seamstress Erin. Have you seen her new pattern release, the adorable Presidio Purse? 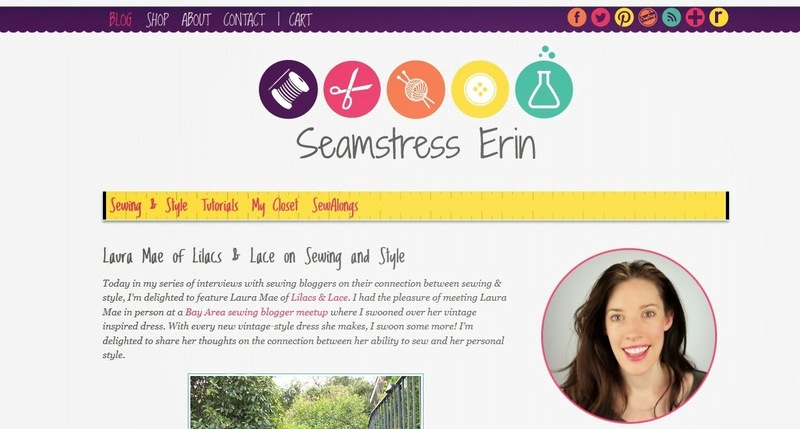 She has been interviewing bloggers in a recurring series regarding their thoughts on Sewing & Style - if you would like to hear more of my ramblings on the subject, head on over to Seamstress Erin. Terrific interview! I too sometimes look at my own wardrobe in much the same light (a collection of costumes/ensembles to fit my mood - and whims - for a given day).